Another badge that took me a little by surprise and hence another iPhone photo. 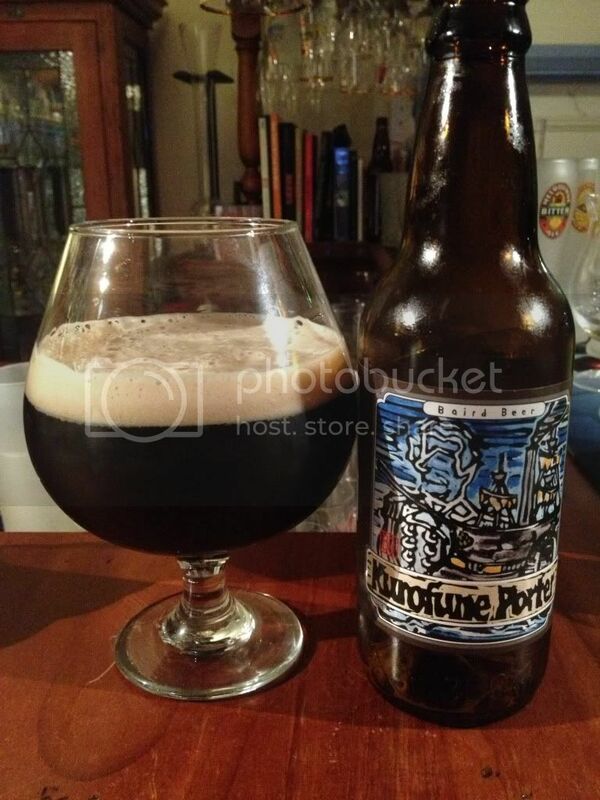 Kurofune Porter comes from Baird Beer in Japan. To me a lot of their beers are hit and miss so I'm looking forward to see how this Porter goes. Heavyweight is a badge that I'm coming towards the end of. Basically it indicates how may different dark beers, I think just stouts and porters, that you've had and is leveled up in the same way as the other badges. 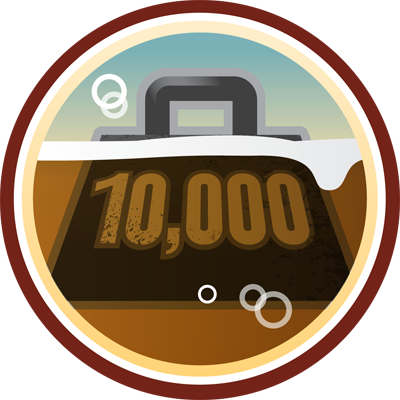 It's a really enjoyable badge to go out and get because I would hazard a guess that at least 30 of my check ins have been big Imperial Stouts. This isn't one though; it's a Baltic Porter and it's time to review it. This beer has the stereotypical appearance of a Porter. A deep brown body is topped by a creamy looking white head. The head almost looks like what you'd expect on top of a Latte. Kurofune Porter's head has excellent head retention and leaves awesome lacing. This is a great start from Baird Beer, really looking forward to seeing how it tastes now! Kurofune Porter tastes like what little smell I could detect indicated. There was moderate roast at first and there was also some chocolate sweetness. I also got hints of nuttiness which added complexity. The mouthfeel was disappointingly thin which has to mark the score down in my books. In a nutshell; appearance was excellent, nose seemed okay from what I could tell, flavour was good but the mouthfeel stuffed the whole beer. Honestly that's how this one was for me, everything was good for the style up until the mouthfeel. If this beer had a fuller body it would be an excellent example of the style. Possibly worth a try but if you're a Porter fan this isn't the one for you.